Pillai was born in Sri Lanka and from a young age had an entrepreneurial spirit. He was fortunate enough to go to Royal College, Colombo, where he was selected as a prefect and was the opening batsman on the cricket team. It was there that he became keen on innovation, as he was mentored by his principal whom fostered both that and resourcefulness. 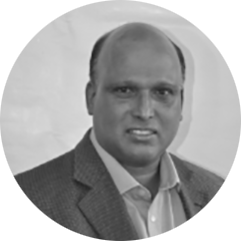 After completing his degree in 1982, Pillai moved to Australia, where he joined an emerging IT company called Management Solutions as a programmer. was when he designed and developed a financial system called “FINEST” with a group of talented individuals. This software went on to dominate the Australian Public Sector market, with well over 50% of the market share. Pillai rose up through the ranks and became the Technical Director and a major shareholder of the company. FINEST is what brought Pillai to South Africa and was how he was introduced to Amava IT. This enabled him to meet Puven and Siva of Amava Group Capital. They went on to acquire the intellectual property of FINEST from the Australian company and implemented the system in South Africa to manage a whole province. Pillai, Siva and Puven have been business partners and friends for well over a decade and have invested together in the businesses. They share a common goal of empowerment for the underprivileged via business leadership. Pillai is quick to take up a challenge as he has demonstrated in the past by being instrumental in the establishment of FINEST in the United Kingdom, New Zealand and South Africa. When Amava was looking to diversify into Mining and when approached by Puven, he took up the challenge and lead the mining investments with very little knowledge or experience in mining. Pillai realised from the very early stages that in an industry that is dominated by business giants such as Anglo, BHP and Xstrata, Amava needed to find a way of complementing and adding value to these companies in order for the company to have a viable position in the market. This strategy lead, Amava Mining focussing on low yielding and low quality material that is considered to be waste. This strategy has worked successfully with some major projects on Amava’s books. It is now being extended to other innovative areas such as diesel from waste plastic. Pillai’s role is to identify opportunities and to turn them into successful projects by bringing in the right funding, process and people. Pillai has a zest for life and believes in the philosophy that “you only live once”, so it is imperative to ensure that you make your mark on the world, even in a small way. Through investing in projects that benefit disadvantaged communities, you can help aid the lives of many. He certainly believes that Amava Group is well on its way to doing this.